The Township Subsidizing Developers? That’s a stretch. The Township “pads” every third party invoice by an additional 25% billed against the developer’s/ land owners’ escrow account. The non-interest bearing cash escrow account is paid upfront at the onset of the developer’s/land owners’ /application for the permission to sneeze in this Township. The 25% , egregious handling fee, goes into the general fund. In addition , the building permit fees generate more revenue than the department expenditures. There have been many transfers from the building department to the general fund in violation of state law. Such issues have been called out from the Home Builders Association in written dialogue with Township administration. 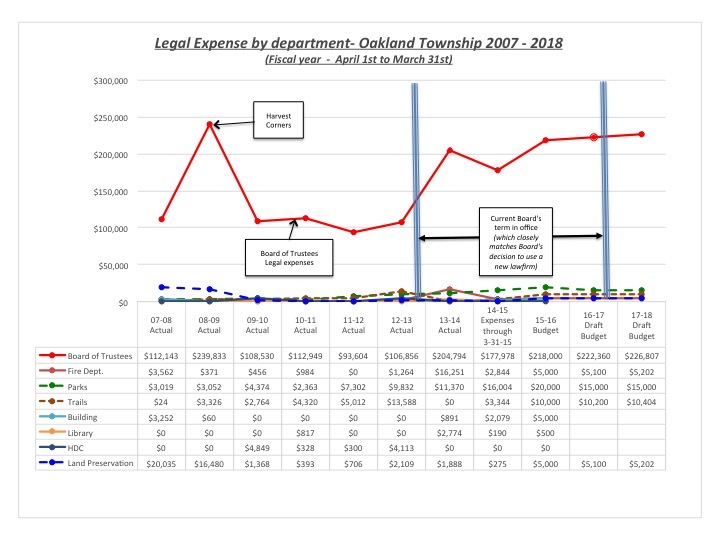 Hmmmmm, perhaps the Township’s incredulous position would be to charge the Developer for the 6 legal opinions, aka opinion shopping, plus 25% regarding the Oakland County Zoning Committee issue that ping-ponged back and forth from November 2012 thru June 2013. The applicable legal review fees for any land use application should be covered by the application costs upfront. All other adjacent communities do not charge back their legal fees to the land owner/applicant. the privileged and confidentiality belong ? The payer/responsible party should have the privilege, no?